Interested in hiking with your dog while supporting local nonprofits? 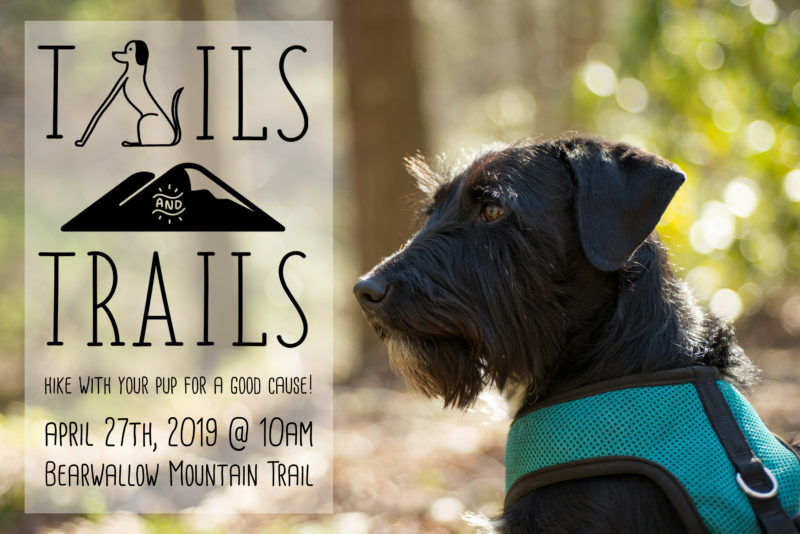 Bring your best human or non-human buddy (better yet, both) with you on Saturday, April 27th @ 10:00 AM, for a charity hike up Bearwallow Mountain. The hike will begin at 10 AM and will climb the one mile hike up to the beautiful, bald summit of Bearwallow Mountain where you can take in the breathtaking views with your furry buddy. Check-in will begin at 9:30 AM at the trail head. All participants–humans and their furry friends–must check in prior to the start of the hike. The registration is $25 and includes your choice of an event T-shirt or tote bag. * Proceeds benefit Conserving Carolina & Blue Ridge Humane Society. * There is no registration cut off. If registration is made prior to April 20th you will receive your T-Shirt/tote at the event. Registrations after April 20th will need to pick up their T-shirt or tote at the Conserving Carolina office. New entries will be accepted on the day of the event at a booth at the trailhead of Bearwallow Mountain Trail.